Axiom's BENDnFLEX™ product line combines high-performance CAT6A copper cables with an ultra thin, bend-insensitive casing. 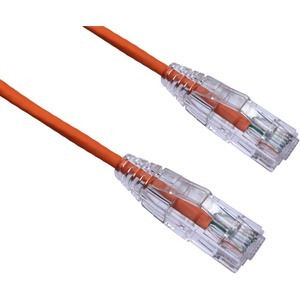 Available in pre-terminated, standard lengths the BENDnFLEX™ product line provides a high-performance 10Gbps CAT6A cable that can sustain large capacity data rates even under acute bend environments. Empowering efficient connectivity while extending current IT infrastructure across a variety of technology platforms, Axiom BENDnFLEX™ simplifies installation and enables more uptime with less troubleshooting.